Home DOG NEWS What’s the Best Dog Food if Your Pup Needs to Lose Weight? 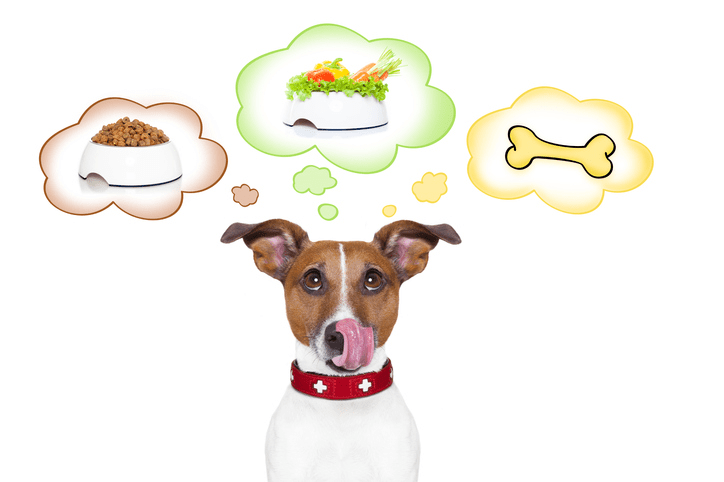 What Brand of Dog Food Is Best for Weight Loss? This product is not only good for your pup but relatively inexpensive in your quest to get your dog’s weight down. It is low in fat and helps with your dog’s gastrointestinal needs, especially if he has difficulty digesting fat. It is easily digestible, tasty, and offers balanced nutrition. It has whole grains and beneficial protein from chicken meal along with prebiotics, EPA, and DHA to support digestive health. Dogs that suffer from hyperlipidemia and pancreatitis will do well with this food as well. The only thing that you need to be aware of is that it has whole grains that should not be eaten by dogs that are hyperglycemic. It requires a veterinarian’s prescription but is a quality product for doggy weight loss. This formula is created to give your dog better mobility, which means your pup feels more like being active and looks healthier. It is a bonus on their weight loss journey if they can get both extra exercise and proper food. It has red meat, roasted smoked foul, peas, sweet potato, minimal fat content, no meat by-products, and no grains as fillers. Real duck is its first ingredient along with turkey and chicken, offering a high protein content. It has neutral antioxidants, prebiotics, and probiotics for healthy digestion. Essential minerals, combined with amino acids, will help with mineral absorption. All in all, it offers great taste without a prescription. This great grain-free recipe uses real chicken and turkey to provide a great source of protein for your pup along with sweet potatoes and peas for healthy carbohydrates. The nutrients include antioxidants, omega fatty acids, glucosamine, and probiotics while leaving out meat by-products, wheat, corn, soy, artificial colors, flavors, and preservatives. Glucosamine and chondroitin help take care of their bone and joints while omega-3 and 6 fatty acids from flaxseed and salmon oil support a healthy coat and skin. This great recipe will keep your dog healthy and moving while supporting their weight loss and making sure they absorb the quality nutrients they need. Moderate exercise, plus good, nutritious food is the right combination for doggy weight loss. Choosing food that is right for your dog means you are heading in a positive direction as you try to get your dog’s weight back on track. Your choice of nutritious food plus exercise will give him the benefit of healthy weight loss. Consult with your veterinarian to understand your dog’s ideal bodyweight plus how much and how often to feed him. You want to make sure you check in with your vet after starting this new program so they can watch that your pup reaches his weight goals safely with no side effects. Get information on developing an exercise plan to increase your pup’s weight loss while making sure it also fits into your lifestyle. Don’t forget to take into consideration any physical limitations your pup might have. With the proper food and exercise, your pooch will be on the way to a longer and healthier life in no time. Previous articleWhat’s the Best Raw Dog Food for Your Pet? Next articleWhat’s the Best Dog Food if Your Dog Needs to Gain Weight?